Adventure play equipment attracts families: Our innovative designs are made to keep both kids and adults happy and engaged in their adventure experience. Not only will you attract patrons, but you’ll also keep them coming back again and again as they continue to seek thrills. Challenge courses bring the family together: Families that play together stay together. Our rope courses are designed for young and older children, parents, grandparents and everyone in between to enjoy as a team, promoting family bonding. Adventure structures encourage challenging physical activity: We know how important physical activity is to overall health for people of all ages. Our adventure course equipment is designed to provide a fun and thrilling challenge to adventure-seekers of all ages and abilities. 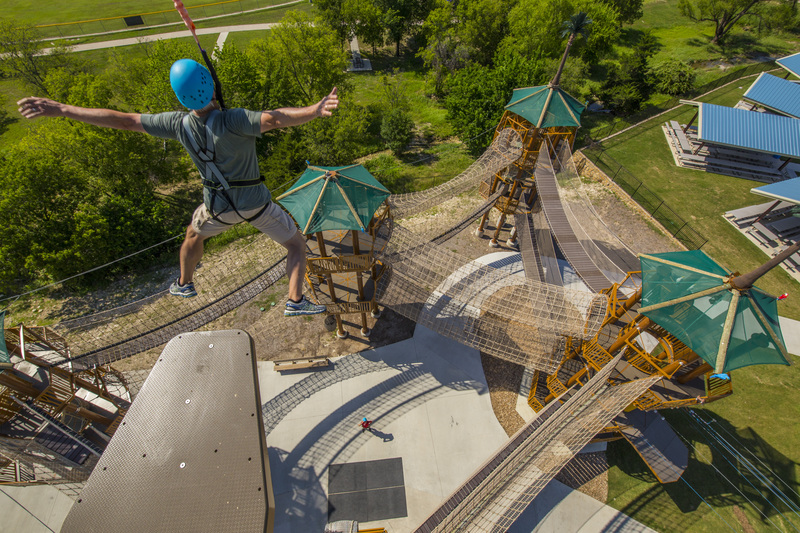 Belayed High Rope Adventure Course: Our custom-designed belayed adventure course puts an innovative twist on the traditional ropes course. A range of fun, challenging features and difficulty levels can be added to make your indoor or outdoor system unique to your facility and enable it to grow with your business. 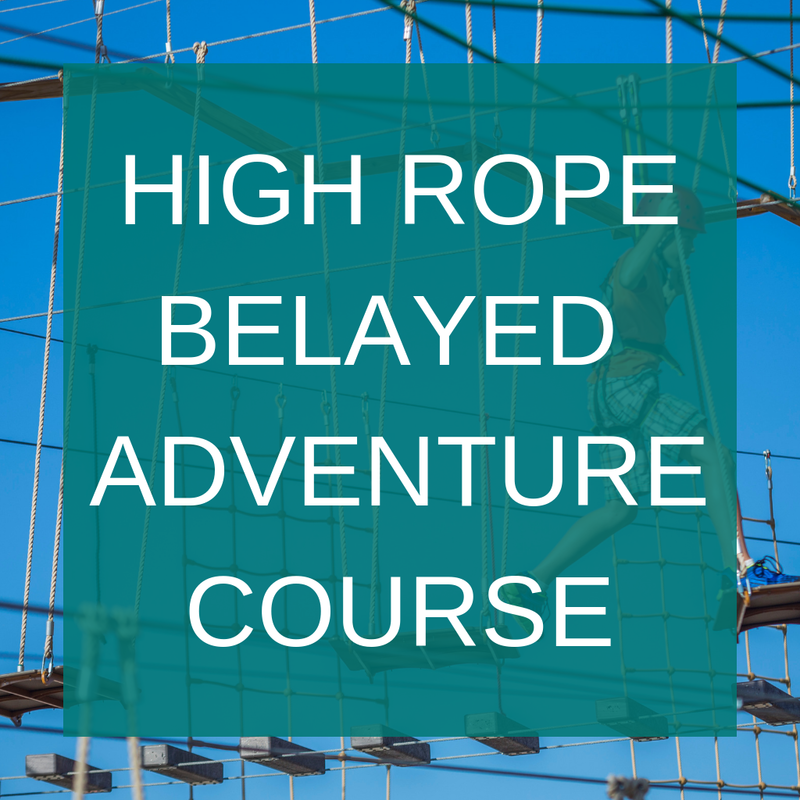 Non-Belayed High Adventure Course: If you’re looking to offer patrons the thrills of a high ropes course without the need for a harness, turn to our non-belayed adventure course, customized to meet your facility’s unique needs. 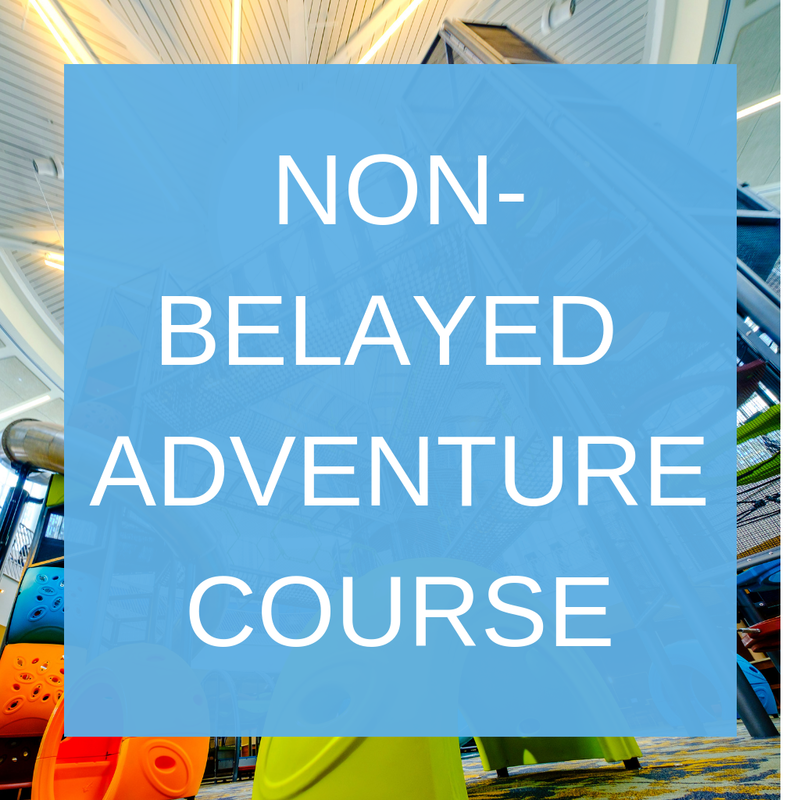 With a range of difficulty levels, this indoor or outdoor course will enhance any play experience for your visitors, encouraging them to show up time and time again. If you’re looking for an adventure playground system for your business, look no further than Soft Play — the industry’s leading challenge course builder. Since 1984, Soft Play has produced top-quality adventure solutions recognized by some of the nation’s most respected brands. Our position as a leading creative design consultant and adventure playground manufacturer allows us to provide you with the solutions and expertise you need to give your patrons and their kids a one-of-a-kind play experience that they won’t soon forget. At Soft Play, we know that adventure playground systems are not one-size-fits-all. Not everyone has the same amount of space or the same budget to work with when it comes to their adventure attractions. That’s why we custom design our equipment to meet the needs of our customers, which means all of our play equipment is tailored to your budget, available space, and overall vision, in order to give you the greatest flexibility in your adventure attractions. If you’re ready to take advantage of all the benefits we can offer and transform your vision into unforgettable, design-driven adventure, contact us today to request a Soft Play design consultation.